Designed and fabricated by the Tryals Shop! These aluminum bar ends have been modeled after the popular import bar ends, and feature a precise fit, and anodized finishing. 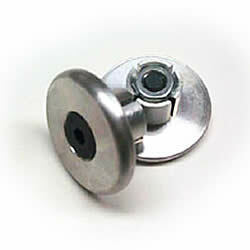 Application: Fits all modern and vintage bikes with 7/8" handlebar diameter.